Seasonal Stimulation with Fall Fertilizer - Executive Landscaping, Inc.
Did You Know Fall is for Fertilizer? It doesn’t take a genius to figure out that the heat of summer is brutal on grass. Take a quick visual sweep around your neighborhood, and you’ll likely see more than one lawn looking less than green. One of them may even be yours. And all that tortured turf is sorely in need of some nutrients. The best time to apply it isn’t actually until fall when the weather has calmed down and cooled a bit, and when temperate temps give it more ideal conditions for regaining its strength. Since winter’s just around the corner, your lawn will definitely need strength. Cold weather and hard freezes wreak havoc on things, but if you’ve fortified your grass’s root system with fertilizer, it will be able to send up some happy shoots in spring. The reason for fall fertilizing is pretty simple. 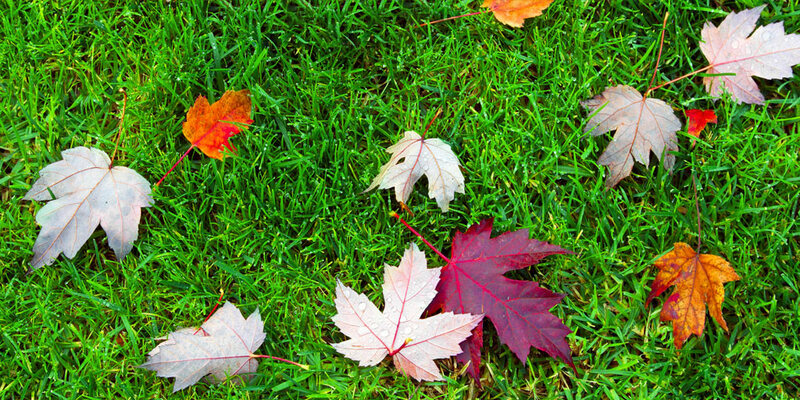 Fall is the period in a lawn’s life cycle that turf grass begins to store carbohydrate reserves in the stems and root systems, and those reserves help grass resist injury and disease during winter. It also serves as an energy source for root and shoot growth the next spring. Fertilizing in late fall also provides you with better winter color and richer green in spring as well as improving the rooting. That said, it’s important to make sure you get the timing right. Fertilizing too late can be damaging, but it can be damaging if done too early, as well. If applied during the most active growing period, fertilizer can actually leave your grass more vulnerable to winter injury or snow mold. The last fertilization should happen sometime in late October or early November – whenever the grass has stopped growing and the mowing has slowed for the season. Because warmer temps are counteractive to fertilizer, apply either in the morning or in late evening – times of day when the heat is no longer at its peak. Before you apply, mow the lawn and leave just a little bit of grass clippings behind to help things along. The grass needs to be nice and dry, as well, so let things dry out a little if it’s recently rained; and if there’s rain in the forecast, hold off to ensure that any fertilizer you’re planning to apply won’t be a wash-out. Make your grass a fertile field of growth! Consult with the team of lawn care and outdoor experts at Executive Landscaping, Inc., to learn more about out fall fertilization services today!